When the hair obsessives at dirtylooks.com sent me over some of their hair recipes I decided I had to try this do it yourself mask. The lengths and ends of my hair really need a boost as they're looking very dull and lifeless lately, not to mention needing a little chop. I have my avocado at the ready and I'm waiting for it to ripen up, so hopefully my hair will be in for a treat by the weekend! 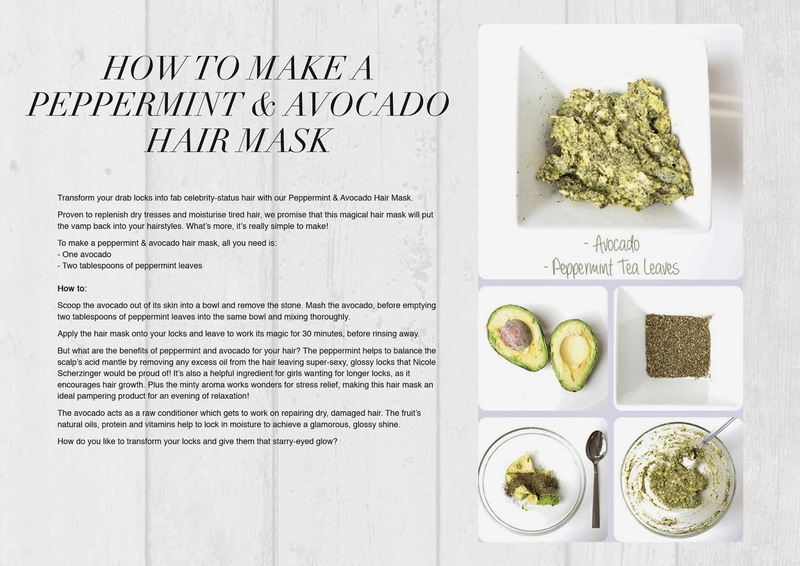 I've not really tried a DIY hair / face mask type thing before as they usually sound a bit gross and involve unpleasant things like raw egg, but this one sounds super refreshing and not at all icky! Have you tried a DIY mask before?